Although the Bears travel frequently to Dallas, almost on a monthly basis, we have never visited the AMEX Centurion Lounge DFW in the Dallas/Fort Worth International Airport. 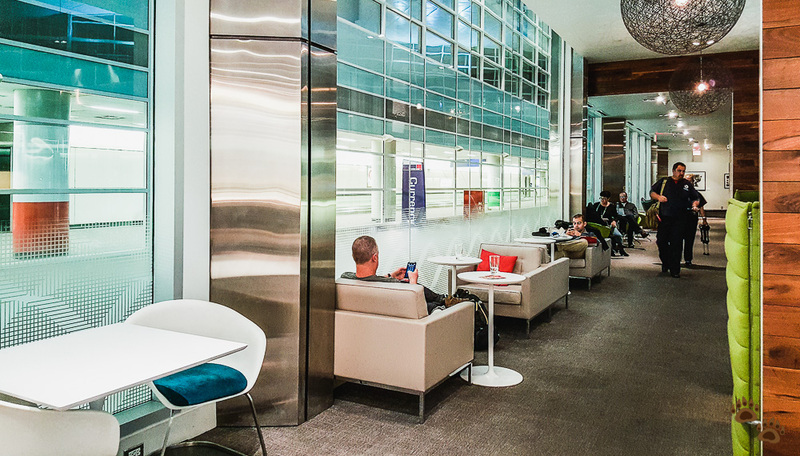 This is because we are aligning ourselves to United MileagePlus frequent flyer program, and all United’s operation in DFW is in terminal E. The Centurion Lounge, however, is located in terminal D.
We flew into Dallas again for the weekend. This time, since we had to wait for Mama Bear’s sister to pick us up, we made it our mission to finally make a trip to DFW terminal D to check out the Centurion Lounge. We arrived at gate E4 around 7:40 pm from San Francisco via United Express UA5488 operated on ERJ-175 aircraft. It was a short walk from the gate to the Skylink – a train system connecting all DFW terminals together. One nice thing about DFW Skylink is that the transfer is all on the airside so there is no need to clear security again. 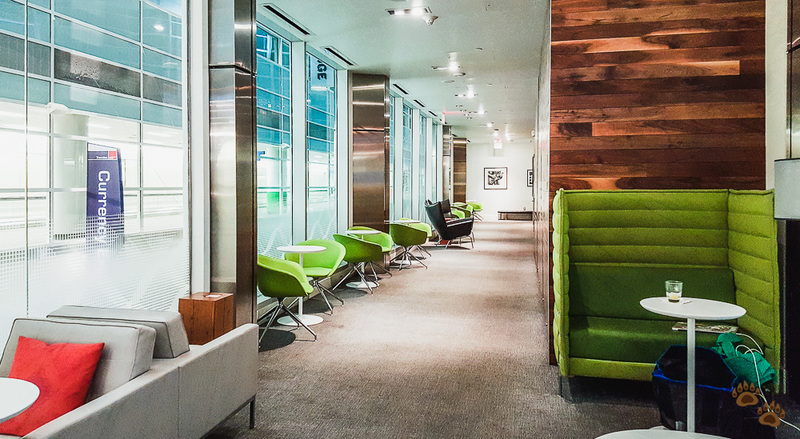 The Centurion Lounge DFW located opposite Gate D17. There was a clear sign showing direction to the Centurion Lounge when we approached the gate. We took another escalator up to the mezzanine level to get to the Centurion Lounge entrance. 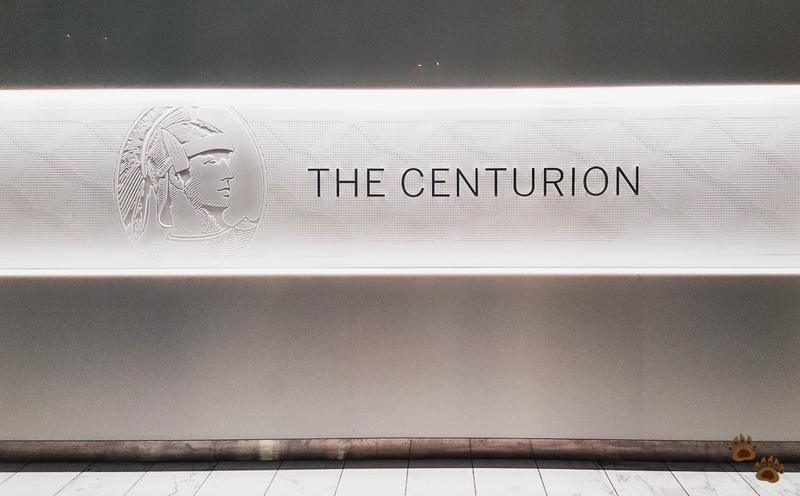 The Centurion sign showed prominently at the end of the escalator. Complimentary access to the lounge for AMEX Platinum Card and Centurion Members. You will need to show the card, an ID and a boarding pass for same-day travel. The Card Member can bring in two additional guests. 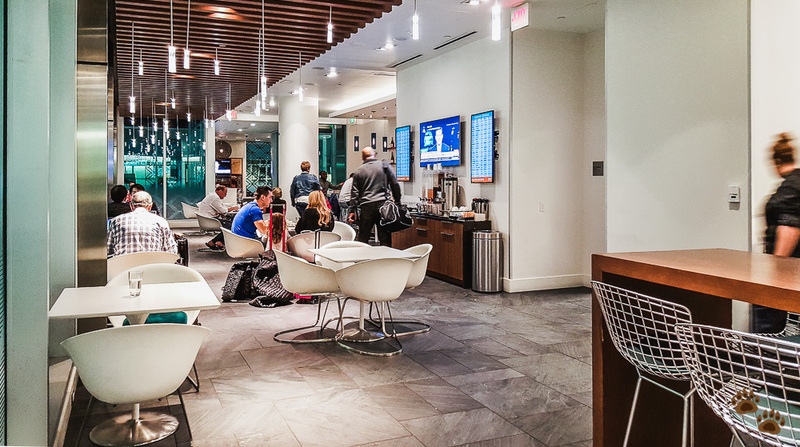 All other AMEX card members can pay $50 per day to access the lounge. You will need to purchase a day pass for additional guest, except children under 18. Since Mama Bear is an AMEX Business Platinum Card Member, Papa Bear just tagged along as a guest. The Bears were greeted by an associate the lounge entrance. Mama Bear showed her AMEX card, the ID and the boarding pass on the phone and we were set. 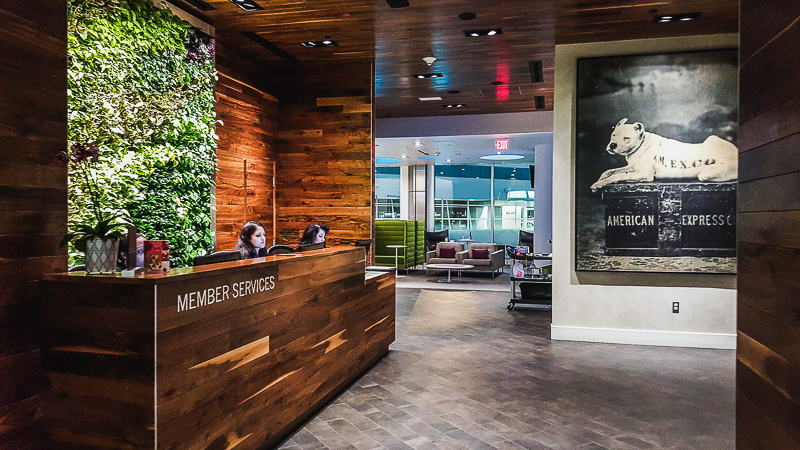 The AMEX Centurion Lounge DFW is one of the two lounge locations that offer spa therapies – the other one being Miami location. We enquired the associate about this, only to be told that the last appointment for the spa was at 7:40 pm. 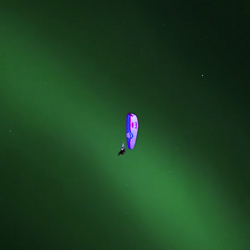 The time was 7:58 pm … oh well, next time! The service is available on a first come first serve basis and operated by Exhale. The lounge is divided into several sections, rather than one big room, which makes it feel less crowded. One section hosts the food and bar with seating area, while the computer workstations, shower suite, restrooms, the spa and more seatings are on the other side. A long hallway connects the sections together. 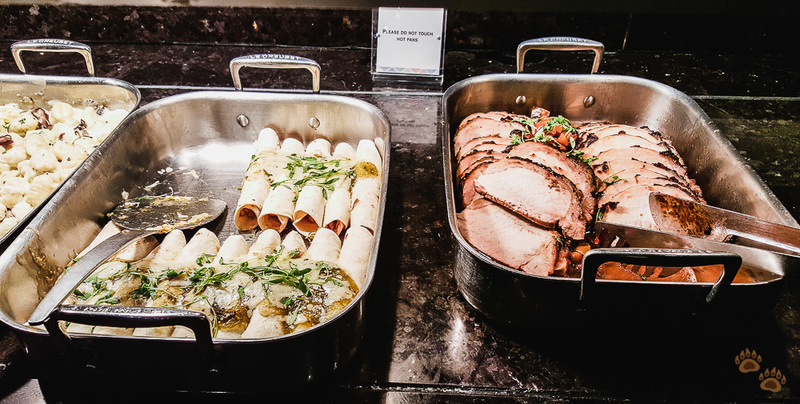 The food service area serves both hot and cold meals. The lounge serves hot dinner until 9 pm. There were several announcements beforehand to make sure everyone was aware and grabbed what they need before they took the food away. The Centurion Lounge itself closes for service at 10 pm. There were also fruits and salad bar available. The Bears took a bit of each to try out. The menu is designed by a local chef Dean Fearing. Needless to say, the food was excellent and tasty as usual. We were stuffed by the time we left. The Bears have been a big fan of the American Express Centurion Lounge. Our home base is San Francisco and we frequent the SFO lounge. 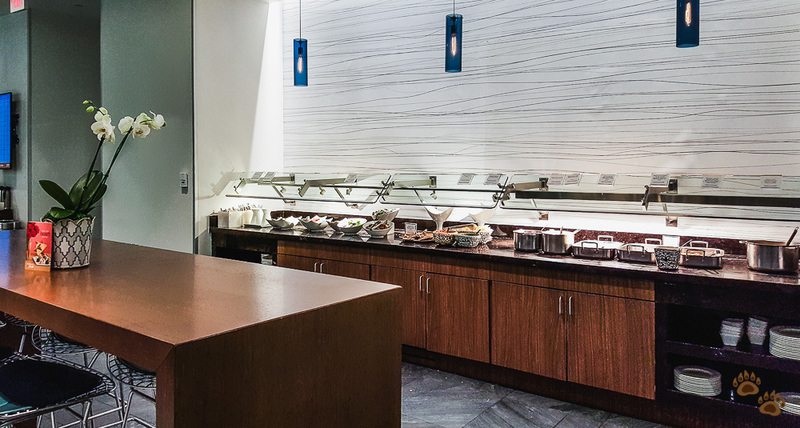 We prefer to spend time at the Centurion Lounge over other airline lounges anytime because of the ambience, settings and real food! 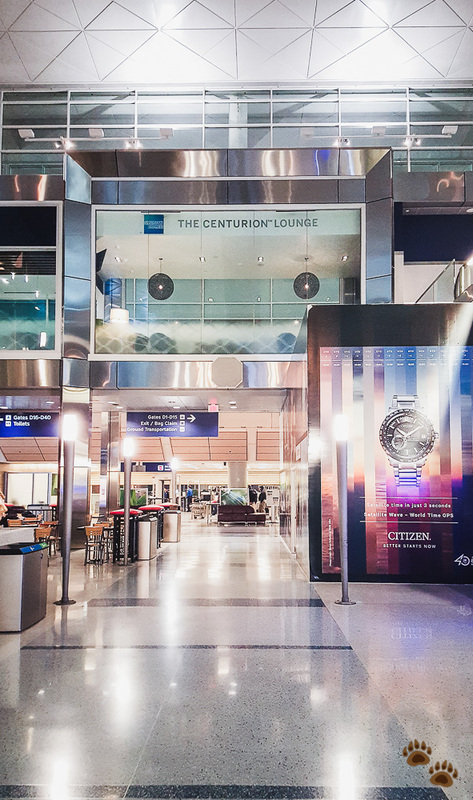 This was our first visit to the AMEX Centurion Lounge DFW and we were very happy we made a trip to terminal D. The DFW Skylink connects all terminals together on airside. Jumping from one terminal to another is quick and hassle free since you do not have to clear security again. 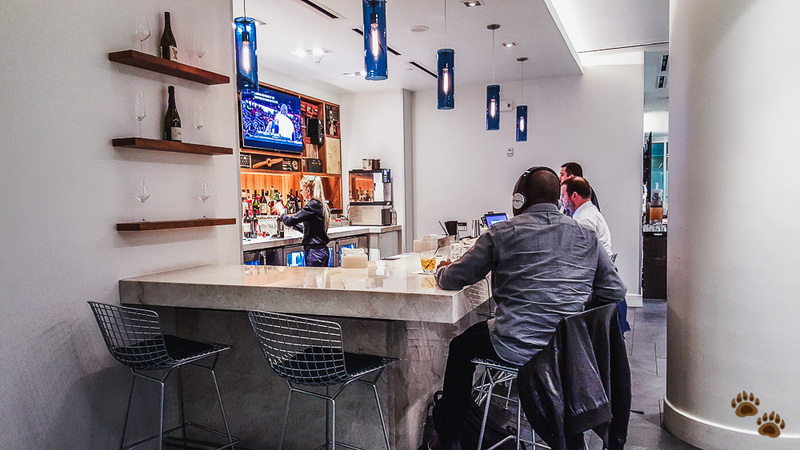 The Centurion Lounge DFW provides amenities and services such as hot food, bar, shower suite and relaxing spaces. A unique feature at the DFW location is the spa service. The Bears did not get to try it out since we arrived after the last appointment time. We will definitely report back on our experience when we have a chance to visit again. 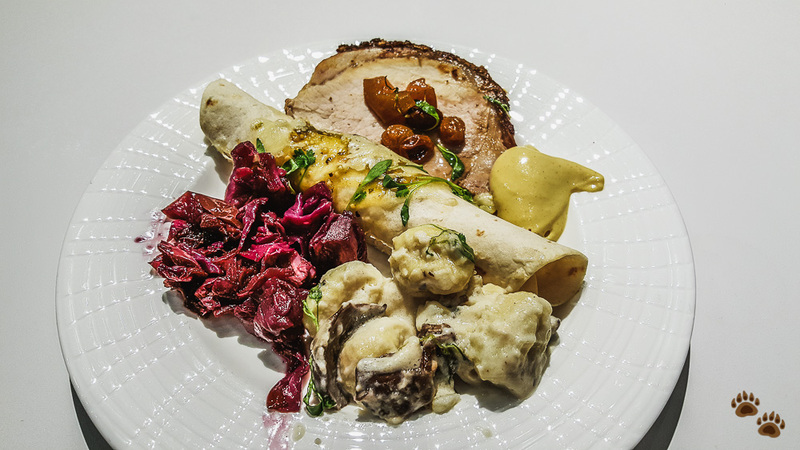 There was a number of hot and cold dishes to dine – all were designed by local chef Dean Fearing, and all were delicious! The AMEX Centurion Lounge DFW is worth a visit if you need to spend some times at DFW waiting for your next flight. All photos in this post were taken handheld with Samsung Galaxy S6 Smartphone under normal restaurant lighting setting. Images were processed using Adobe Photoshop Lightroom CC.